Home/SEO/Predictions about the future of SEO – What’s in store for this industry? SEO is an industry which is constantly evolving and growing. Gone are those days when search engine optimization or SEO was seen as internet ‘black magic’. Rather it is now deemed to be a vital part of all digital marketing strategies. In 2016, it was estimated that the businesses had invested more than $70 billion on SEO services and this number is predicted to rise above $70 billion by the end of 2018. Experts are of the opinion that we’ve come a long way and the best days are still ahead of us. The toughest thing in the world of search is foretelling what is going to come next. Here are 3 predictions about the future of SEO industry which you can take into account if you want to know the steps that you have to take in the near future. Google is a search engine that’s always obsessed with the users and if you want to fare well with Google, you too have to be serious about the users and their experience. This is why search engine results are gradually becoming more personalized as user experience will play a bigger role in search. You will lose out always if your content isn’t engaging the users, no matter how great information you’re offering them. 45% of marketers never formally evaluate the analytics for accuracy and quality. Less than 30% of small businesses use web analytics, coupon codes and call tracking. We are presently living in a divided world and now Google operates in a process of creating 2 indexes, one for desktop and one for mobile. Presently we are in the mobile-first world, the way in which we search the internet and buy things have changed as mobiles have become the main device we use. Users, who use mobiles to search, don’t just look for good website but they also look for the speed. Users usually leave a site which fails to load within 3 seconds or less than that. 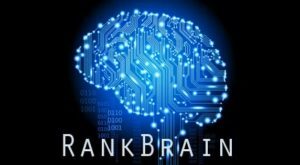 When Google introduced RankBrain in the previous year, the entire search world lost their minds. With time, machines have learnt patterns and understood content and they have become more and more accurate. Another benefit of AI is that it will kill black-hat SEO techniques once and for all. So, the SEO industry needs to prepare itself to deal with the age of machine and it has to do it in the right way. The latest Google algorithms update “Fred"